Hi everyone! The 3rd Annual International Cryptozoology Conference was held on Sept. 1 & 2, 2018, here in Portland, Maine. Like the others before it, it was a great experience -- a chance to hear from experts on a variety of topics, and an opportunity to meet other people as interested in and as excited by the field of cryptozoology as I am. This post will run down the first day of the weekend's worth of speakers, and my photos will give you a glimpse of the folks involved, if you weren't able to be there. Click on any of the photos below to see a larger version of it. Loren kicked off the conference by announcing this year's Cryptozoologist of the Year, reminding everyone that cryptozoology is an active field pursuit for scientists around the globe. This year's honored cryptozoologist is Dr. Anna Nekaris. 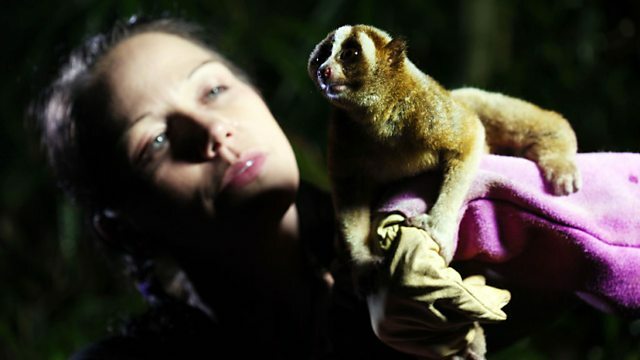 A professor in Anthropology and Primate Conservation studying the unique group of evolutionarily distinct primates known as the Asian lorises, her work encompasses all eleven loris species, including six she named or elevated from subspecies. Anna is the Course Tutor for the highly acclaimed MSc Primate Conservation at the Oxford Brookes University, Director of the Little Fireface Project and Convenor of the Nocturnal Primate Research Group. The Little Fireface Project (http://www.nocturama.org/en/welcome-little-fireface-project/) performs outreach and education to raise public awareness of the plight of lorises. Maybe in some future year, the CzCon can get permission to screen this film at the conference! First on the speakers schedule was the team-up of Vermonsters Joe Citro and Stephen Bissette, author and artist respectively of The Vermont Monster Guide and many other works. Joe Citro started us off, discussing among other things his own sighting of a big cat in Vermont in the 1990s. He described the process eyewitnesses go through when they encounter a strange animal: how each of us has a mental index of animals known to us, and in the moments following the encounter, how we "flip through" all the index cards in search of a correlating species, sometimes coming up empty-handed. He also discussed his decades of work researching local legends and rumors, and how some of them do turn out to be wild goose chases, while others turn out to be even stranger than expected. In short order we were brought up to date on all sorts of anomalous sightings, including human-faced bats, man-swallowing stones, giant buried bullfrogs, Old Slipperyskin, and the giant birds of Butternut Hill. Anyone interested in a good read should check out Citro's books, especially my favorite, Passing Strange: True Tales of New England Hauntings and Horrors. Steve Bissette tag-teamed, following Citro with his own take on Vermont's monsters of legend. 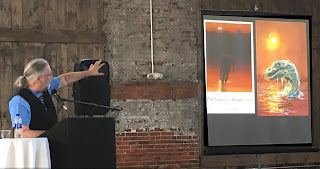 He emphasized the relevance of input from people who are great observers as amateur naturalists, and discussed his own process as an artist illustrating cryptids. He reminded the audience of the important concept that no cryptid exists in a void -- they fit into an ecosystem; they have neighbors; they move through and take part in the local environment. Fans of Bissette will be pleased to note that he is working on the second volume of his Cryptid Cinema book series, which will focus on The Legend of Boggy Creek (if I heard correctly)! Next on the roster was a preview of clips from the upcoming film The Cryptozoologist (2019), and a screening of Swan Song of the Skunk Ape (2015). Following this was Hayley Eldridge's presentation "La Bête du Gévaudan." This case remains sensational even centuries after its record (1764-1767), and still excites speculation and research. 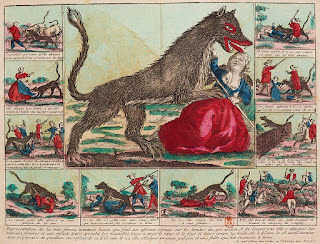 Hayley gave a detailed and engaging survey of what we know about the historic record and what might be guessed about the beast from these traces, including her favorite theory, that the creature was a hybrid wolf and Dogue de Bordeaux, a theory that allows for multiple beasts from any given litter, a possible source of the many attacks in different locations. The talk that followed next featured a person I had never heard of, but she made a profound impact on me, even in such a small amount of time. Dawn Prince-Hughes is a primatologist, and author of Songs of the Gorilla Nation, among other books. Her discussion of gorilla ways was eye-opening and encouraging. Following in the footsteps of Jane Goodall and Dian Fossey, she focuses more on the natural behavior of gorillas and less on how we want them to behave. When she works with them, she prefers to match her gestures and communication to their own innate methods as a means of creating rapport. While her breakthrough work focuses on gorilla ethnography, she has also explored other sideroads in her own research, including observations on some very interesting relationships between habitual snow monkey movement patterns and the roots of Muay Thai martial art techniques, and more. Please consider picking up a copy of her book, Songs of the Gorilla Nation, if you would like to learn more about her work! I'm reading it right now, and it is fascinating. Todd Disotell was the star speaker brought in to wrap up a great first day of the conference. His presentation was titled "DNA and Cryptozoology, or How I Survived 10 Million Dollar Bigfoot Bounty." While he is best known for his work processing DNA on that show, which aired on Spike-TV in 2014, in the real world, Dr. Disotell has been busy training the new generation of DNA specialists while teaching at NYU (http://as.nyu.edu/faculty/todd-disotell.html). His talk focused on the potential for researchers to utilize the recent advances in DNA technology to accomplish species surveys. Using environmental DNA drawn from topsoil, local bodies of water, etc, labs can now determine what species are in a given area, and how long ago they were there in the case of past or transient populations. This is huge news! We leave traces of our DNA everywhere we go, and so does every other species on earth. This new methodology, environmental DNA metabarcoding, is transforming how we survey animal and plant communities. With this and other tools, Disotell urges us: "Those of us in the cryptozoology field need to do way better than we have done up to now." Up until now, he states, he has seen zero data to convince him of the existence of legendary cryptids, but he is hopeful that access to new DNA technology will advance efforts, especially as the cost has plummeted now. In other words -- work hard, learn well, and use new tools -- and always keep in mind that DNA is the keystone of species identification. UP NEXT: Day Two of CzCon 2018! Stay tuned...! Thank you, Michelle, for your detailed and insightful overview of Day One at the Conference! 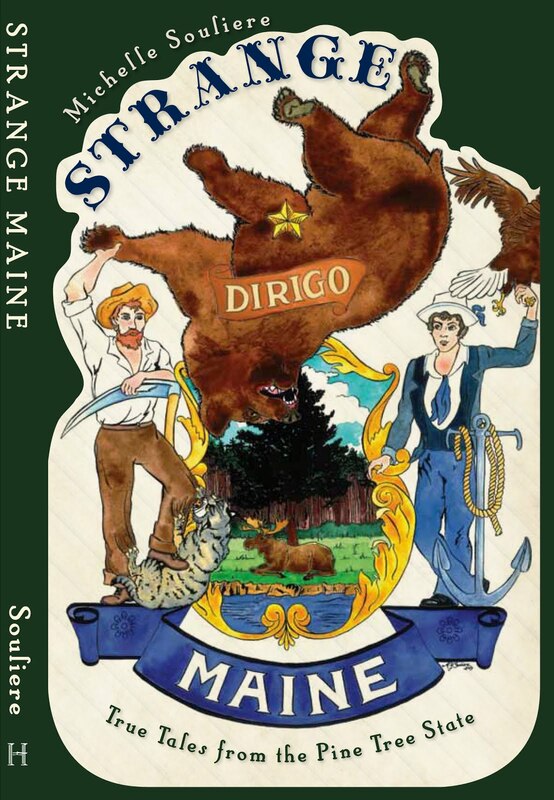 Maine Bigfoot encounters - still interested!